The Jan. 14 press conference will feature the world premiere of the new concept car ENTRANZE and the first appearance in North America of the brand’s latest minivan GM6 and the all-new GS5 SUV. Developed by GAC’s Advanced Design Center in Los Angeles, the ENTRANZE Concept, which will debut at the 2019 NAIAS, is defined as a hyper-modern family vehicle and equipped with the latest intelligent system technologies, sustainability features and automated driving. The ENTRANZE Concept explores more possibilities for the modern family vehicle by taking a 7-seater SUV and adding lots of technology and ergonomics to make driving easier and more pleasurable. 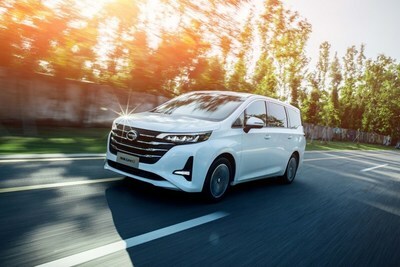 The GM6 minivan, recently released in China, is making its first appearance outside China at 2019 NAIAS. It is a smart vehicle designed specifically to meet family travelling needs and emphasizes spacious seating. It has a five-star safety package, an AI-enhancedintelligent driving system and features an industry-leading 99 square feet of extra-large cargo space. The technologically-advanced medium- to high-end SUV GS5 will show up in the show too. First unveiled at the Paris Motor Show 2018, the all-new GS5 adopts GAC Motor’s next-generation 1.5T GDI engine delivering a vibrant and exciting driving experience with enhanced performance. 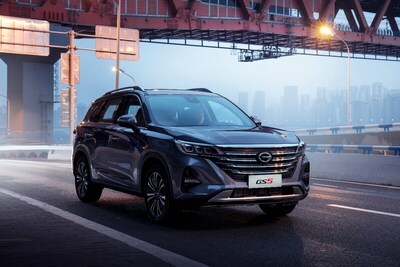 GAC Motor will also display the brand’s elite vehicle lineup of SUVs, sedans, minivans and new energy cars including the brand-new GS4 launched in early 2018, luxury SUV GS8, seven-seat minivan GM8, and new energy car GE3. NAIAS is an important stage that bears witness to the internationalization of GAC Motor. Since its first appearance at NAIAS in 2013, the company has kept the global debuts of its start models GS4, GS7, GE3 and GA4 for this stage. GAC Motor has participated in other major international auto shows to promote its presence in oversea markets. In the past year of 2018, besides the NAIAS, the company debuted at Moscow International Automobile Salon (MIAS) and revealed plans of entering the Russian market in 2019, attracting many local distributors to know more about GAC Motor. GAC Motor’s commitment to quality strengthens every aspect of vehicle making from design and production to auto parts and services, allowing them to be ranked #1 in J.D. Power Asia Pacific’s China Initial Quality Study (IQS) for six consecutive years. Hence, GAC Motor are called as “the Best Chinese Car Brand” by customers in oversea markets. GAC Motor is preparing to open a new R&D center in Farmington Hills, Mich., a suburb of Detroit. With its R&D center in Silicon Valley and advanced design center in Los Angeles now up and running, the three centers will place the foundations of GAC Motor’s R&D working in North America and solidify its steps to a global company with world-class brand. Founded in 2008, Guangzhou Automobile Group Motor CO., LTD (GAC Motor) is a subsidiary of GAC Group which ranks 202nd among Fortune Global 500 companies. The company develops and manufactures premium quality vehicles, engines, components and auto accessories. GAC Motor has now ranked first among all Chinese brands for six consecutive years in J.D. Power Asia Pacific’s China Initial Quality StudySM (IQS), demonstrating the company’s quality-centric strategy from innovative research and development (R&D), manufacturing to supply chain and sales & services.